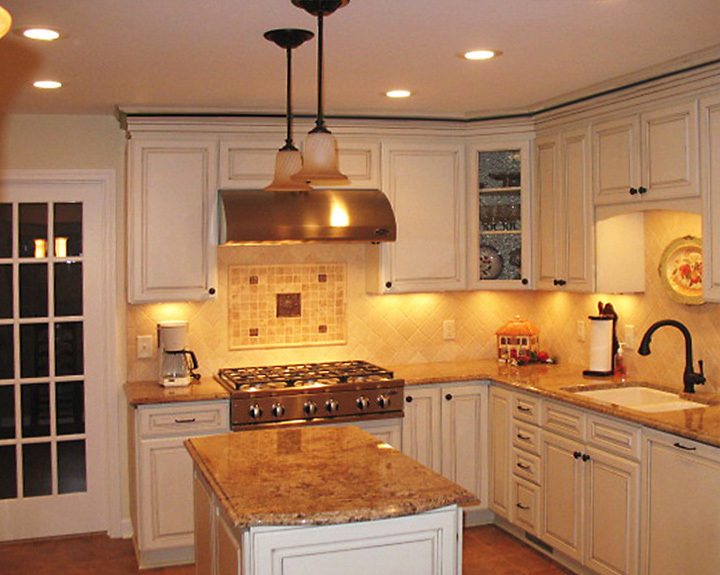 Kitchen make-over with upgraded Euro-style frameless cabinets and glass tile. 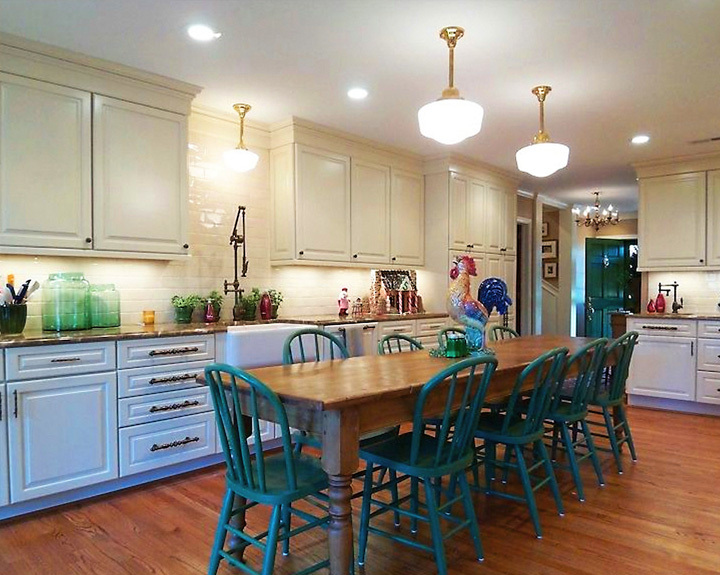 40 yr.-old home gets classy country kitchen upgrade featuring commercial appliances, antique light fixtures, farm sink, and marble tops. 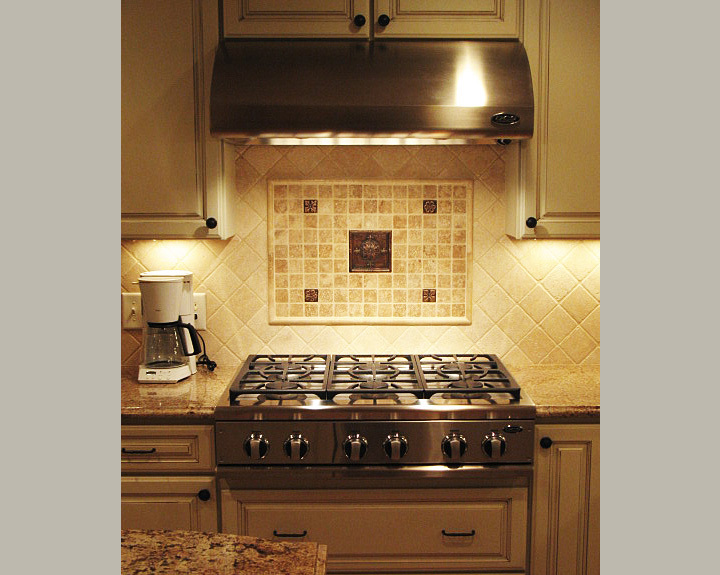 Gourmet cook doubles her kitchen size with commercial cook top & hood, island with appliance lift, custom tile design, rain glass in upper cabinets. 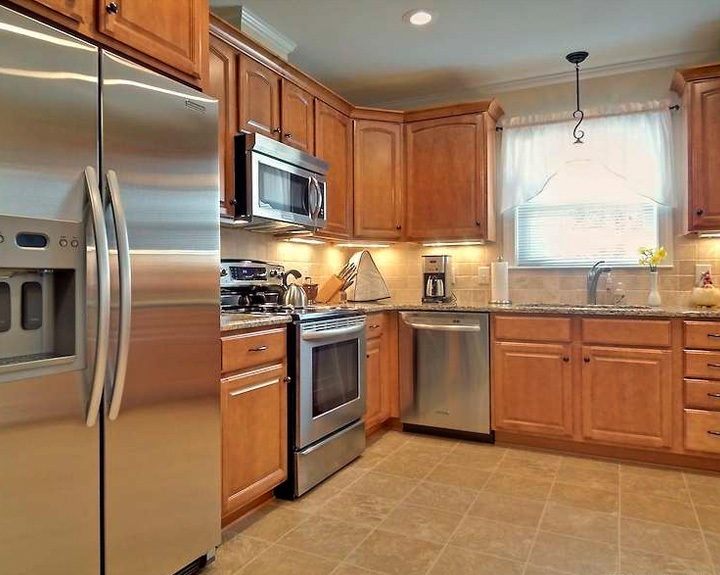 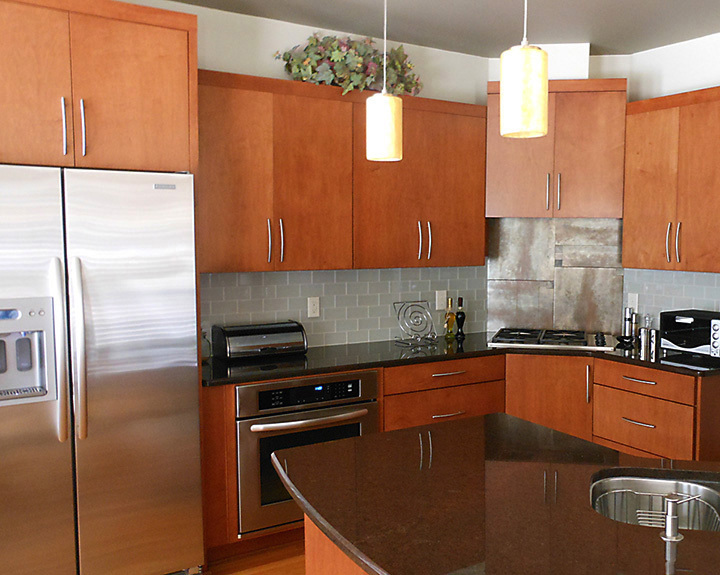 New kitchen featuring new cabinetry, appliances, and ceramic flooring.